Aloe is a member of the Lily family, yet it is very cactus-like in appearance. Even though there are over 240 species of Aloe there is only four recognized as having nutritional value. The main Aloe used in commercial products is Aloe barbadensis miller or Aloe Vera. Aloe mainly grows in the dry regions of Africa, Asia, Europe and America as well as in Australia. The aloe leaf contains over 75 nutrients and 200 active compounds, including 20 minerals, 18 amino acids, and 12 vitamins makes for a high quality Aloe Drink. You only use the nutritious inner gel - not the outer rind of the leaf. Adding Aloe Vera to a smoothy or vegetable juice is one of the most nutritious drinks you can have. Aloe can have a nauseating bitter taste, rendering it unusable in cooking, but this very property protects it in the wild as animals will move on to tastier treats. 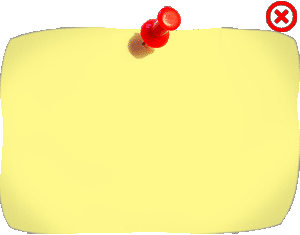 The component creating this bitterness can often be seen as a thin orange or bright yellow line oozing from the freshly-broken leaf. It is an easy plant to grow and requires little care other than protecting it from frost. Nature's supreme remedy for burns as well as an astounding array of other health benefits. Aloe has been recognised for centuries for its remarkable health-enhancing properties. Although known specifically for external application to the skin and for burns Aloe Juice is now widely used to help a variety of conditions of the digestive tract. It is used in dentistry and is extremely helpful in the treatment of gum disease and bleeding gums. It is a powerful antiseptic for gum pockets and conditions. Aloe has antifungal properties which help greatly in dental problems and skin diseases like eczema and psoriasis. I have seen it work brilliantly for old people and old dogs with incontinence problems. A small peeled piece put in the blender with juice works wonders daily. Knowledge about Aloe healing properties has been passed down from the ancients. It is used both internally and topically and has been well documented to facilitate healing of any kind of skin wounds, burns or scalds, even speeding recovery time after surgery. Situations to try it on include blisters, insect bites, rashes, sores, herpes, athlete's foot, fungus, vaginal infections, conjunctivitis, sties, allergic reactions, and dry skin. The raw plant is best and can be purchased at herbal nurseries and many markets. Other topical uses include acne, sunburn if you have had too much sunlight, frostbite (it appears to prevent decreased blood flow), shingles, screening out x-ray radiation, psoriasis , preventing scarring, rosacea, warts, wrinkles from aging, and eczema. Internally Aloe is showing real promise in the fight against AIDS, and the virus has become undetectable in some patients who used it on a regular basis, due to its immune system stimulant properties. It also seems to help prevent opportunistic infections in cases of HIV and AIDS. It appears to be of help in cancer patients including lung cancer by activating the white blood cells and promoting growth of non-cancerous cells. The National Cancer Institute has included Aloe in their recommendations for increased testing because of these apparent cancer fighting properties. Taken orally Aloe also appears to work on heartburn, arthritis and rheumatism pain and asthma, and studies have shown that it has an effect on lowering blood sugar levels in diabetics. Other situations in which it appears to work when taken internally include congestion, intestinal worms, indigestion, stomach ulcers, colitis , haemorrhoids, liver problems such as cirrhosis and hepatitis, kidney infections, urinary tract infections, prostate problems, and as a general detoxifier. People who take Aloe internally report just feeling better overall which is in itself something of a testament to its remarkable properties. Commercially aloe can be found in pills, sprays, ointments, lotions, liquids, drinks, jellies, and creams to name a few of the thousands of products available. Unfortunately the Aloe industry is virtually unregulated and some products that advertise Aloe content actually have little to none. Therefore if you are embarking on a regime with Aloe I suggest using it fresh the way nature intended. Aloe is safe when used in moderation but there are a few contraindications. If you have a heart problem and use any kind of digitalis medication consult your Naturopathic or Medical doctor before using any Aloe product internally as the interaction may cause irregular heartbeat. Avoid Aloe preparations if you are pregnant, breast feeding, or menstruating as it can cause uterine contractions. The Aloe plant is considered one of the very best medicinal herbs, and there is a surprising amount of good research  regarding its benefits. If you don't have an Aloe plant make it a point to pick one up next time you are out and about because this is one truly miraculous plant! CAUTION: Aloe Vera should not be taken during the first 3 months of pregnancy. Treatment for Burns Without a doubt this is the most effective and potent treatment for burns of all kinds, the healing effects are nothing short of miraculous when used fresh. If using Aloe Vera in a preparation, make sure it does not contain lanolin, as this will intensify the burn. Synergistic properties  Aloe Vera has remarkable synergistic properties. The 75 nutrients contained in the gel appear to work as a team producing an overall more powerful effect. The presence of the other team members enhances the actions of the individual components. Adaptogenic properties Aloe Vera is also known as an adaptogen it works to promote healing rather than merely treating a symptom. The gel works to help restore the body's holistic balance. Promotes well being A general health improvement is noticed in animals when Aloe Vera gel is included in their diets. This is apparent in many humans as well after a short period of time. Antioxidant properties The gel also has antioxidant properties and contains vitamins A, C and E known to be 3 of the most potent antioxidants. Essential nutrients Aloe Vera contains over 75 ingredients and provides many of the essential nutrients we need including vitamins including A, C, E, B1, B2, B3, B6, B12, Folic acid, choline, 22 Minerals, Sugars and 18 Amino Acids, Salicylic Acid (known as aspirin), Enzymes, Fatty Acids and many more. 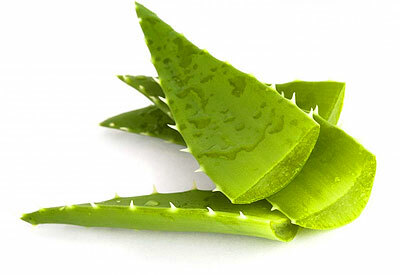 Natural cleanser Aloe Vera is an effective natural cleanser due to its saponins content. Saponin s are natural soapy cleansers with antiseptic properties, that are excellent for cleaning off the skin. Excellent used as a douche for vaginal discharge and irritation. Skin penetration Aloe Vera penetrates through the epidermal layer of the skin to the deep dermal layer helped by its lignin content. Moisturizing When applied to the skin Aloe Vera acts as a natural moisturizer, and is the reason why it is a component in many beauty and skin-care preparations. Exfoliation The gel helps to break down dead tissue from the skin and by softening the keratin layer of the skin. Together these actions help remove dead and damaged cells from conditions such as eczema and psoriasis and are also beneficial when cleansing and healing skin wounds. Improves blood flow Aloe Vera induces an improvement in blood flow to the skin through capillary dilation. Increases cell-division and healing It has been shown scientifically by Dr. Atherton and Dr. Cochrane in the UK and by Dr. Danhof in the USA that Aloe Vera increases cell division by fibroblasts in the skin by at least 3 times. This is why wounds tend to heal quicker. In clinical experience it has been consistently found that wounds heal at least 1 /3 quicker than those treated with conventional medical preparations. 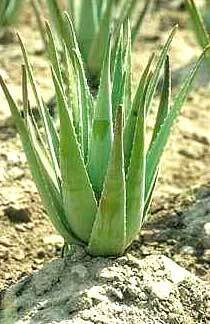 Laxative Aloe Vera is good for chronic constipation, especial|y in older people. Especially good for acid burns. It contains allantoin which gives it its healing properties. Local anesthetic In clinical practice it was found that when Aloe Vera is applied to the skin it acts as an excellent natural local anesthetic. In some cases it even appears to relieve some of the pain associated with joints and muscles when applied topically. These latter benefits can be enhanced further by consuming the oral gel. Kills certain bacteria, viruses, fungi and yeasts (antimicrobial) It has been shown that it not only kills gram positive bacteria, such as streptococci and staphylococci which cause skin diseases, but that it will also kill the tuberculosis bacteria and E.coli. In addition it is also viruscidal, particularly against herpes viruses, and fungicidal against yeasts such as Candida albicans, which causes thrush. Decreases bleeding When applied to minor wounds with capillary bleeding, such as a graze, it encourages coagulation thereby decreasing bleeding. Anti-inflammatory It acts as a natural antiinflammatory agent without the side-effects of steroids. Decreases itching It is antipruritic so decreases itching from conditions such as allergic dermatitis (atopy). Lowers temperature It has been found to lower body temperature, reduce fevers and take the heat out of inflammatory skin conditions such as ulcers - a property often referred to as being antipyretic . No detectable side-effects Over the last 20 years the stabilized gel has been used both orally and topically by millions world wide, and no adverse reactions have been reported. Safe to use with other drugs Aloe Vera preparations can be used with all commonly used drugs with no interaction between them. Enhances the action of other drugs (potentates) In many cases Aloe Vera tends to potentate (or empower) the action of other healing agents, such as antibiotics. Homeopathic practitioners frequently report enhanced activity of their preparations. useful metabolic enzymes like Amylase, Bradykinase, Catalase, Cellulase, Lipase, Oxidase, Alkaline Phosphatase, Proteolytiase, Creatine Phosphokinase, Carboxypeptidase. Aloe was cultivated in Egypt thousands of years ago and was used by the people of the Mediterranean at least 400 years before Christ. Aloe is also mentioned in the Bible's New Testament. 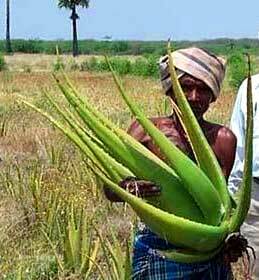 The Arabs had taken Aloe vera plants to India and the Indian people called it savari, The Indians also named Aloe Ailwa from which the Greek word alon might have been derived. Aloe was also mentioned in ancient Chinese transcripts. It was employed medicinally for eczematous skin conditions in China and India under the name Luhui in China and Musabbar in India. 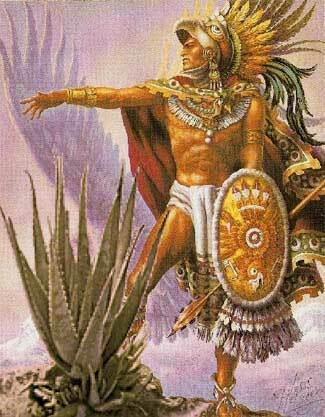 The Greeks knew Aloe through the Indians. The Greek physician Peter Pedanius Dioscoriades wrote about Aloe in his medicinal plant collection materna medica. Aloe was first illustrated in the Codex Aniciae Julianae which was written around the year 512 A.D. by Dichotomous. Aristotle advised Alexander the Great to the rapid healing of his soldiers; Marco Polo noted its routine use in the Chinese court, as alivo of stomach ailments. Aloe was also mentioned in the writings of the Latin writer, Aurelius Celsus, who wrote a book about medicine and called it De Medicina, which appeared for the first time in the year 1378. In America, Aloe was mentioned in Columbus' journals. There have been mentions of the Aloe plant in the Rig Veda, which is the earliest book of natural medicine dating BCE 4,500 and BCE 1,600. In Rig Veda, Aloe Vera is specifically recommended for the reproductive system, liver and dealing with worms when injected or consumed. External uses included healing of wounds." A complete detail about its medicinal uses was also found in Papyrus ebers, an Egyptian document written in BCE 1,550. There were around 12 formulae given in this book to mix the Aloe Vera gel with other agents to solve skin and internal disorders. The early Egyptians revered aloe and called it the 'Plant of Immortality'. Cleopatra This may account for stories of its use by the two Egyptian Queens, Nefertiti and Cleopatra. They were both renowned for their beauty and were said to bathe in its juices. Cleopatra's handmaiden is also said to have mixed it into skin lotions to enhance her mistress's loveliness. Egyptians, who have a long relationship with Aloes, still grow the plants around graveyards to symbolize the patience which is to be exercised during the long suffering from losing the deceased person. Hindus in North India, practice the tradition of feeding their newborn children a little of Aloe mixed with honey in a golden spoon. Aloe requires temperatures above 40º to thrive; they can be grown in pots that can be moved indoors when cooler weather approaches. It will tolerate poor soil and little water and the growing conditions very much resemble those used for growing cactus, i.e. good drainage and as much sun as possible. In spring and summer allow the soil to become moderately dry before watering, but in winter, let the soil dry completely before adding water. An Aloe plant will survive in the same pot for many years and it appears that Aloes prefer somewhat crowded roots, so don't think you are doing this plant a favour by potting it up in a big roomy pot. If you must repot this plant, do it in the late winter or spring. Aloe can be propagated by seed or by removing the offshoots that grow at the base of the plant called pups. The best way to remove these offshoots is to take the entire plant out of the pot, then separate the offshoots from the parent plant, they should have some roots of their own, returning the parent plant to its original pot. We like to harvest the older outer leaves first and use the gel in smoothies or juices. 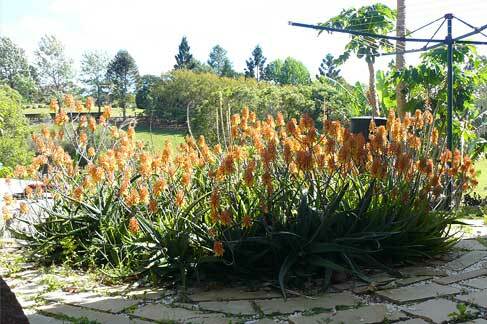 Aloe is a very forgiving plant, and a well-grown aloe can be quite beautiful. 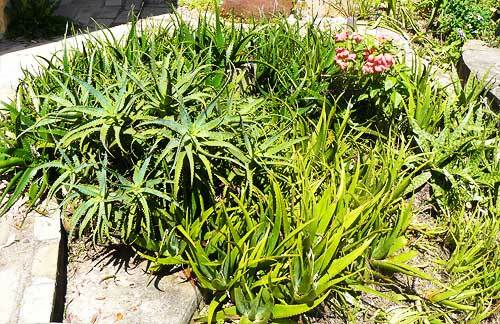 The variegated Tiger Aloe forms bunches of low rosettes with green bands on wide leaves. As with all succulents, it's essential that aloe is never allowed to sit in stagnant water, and the plant should be carefully monitored to watch for signs of overwatering. Many people keep a pot of aloe vera in the house to use the juice from the fleshy leaves on burns and minor skin irritations.